Now you can give the gift of trees to someone via email or social media – no mailing address is required. 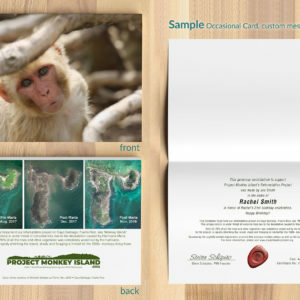 New trees will be planted in you or your honoree’s name on Cayo Santiago that is in desperate need. 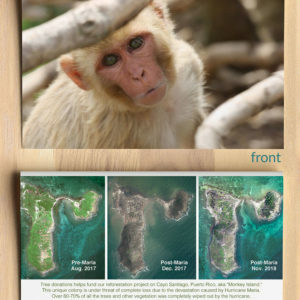 These trees will help create shade and foraging sources as well as rebuilding the natural barriers that protect the tiny island from erosion thus protecting the Rhesus Colony and its habitat. Your tree planting gift includes an e-certificate that you can print out and frame, or send to your recipient via email or social media. Our e-certificates are 100% customizable – you can plant trees in celebration for holidays and special events, for company recognition, or in lieu of sending sympathy flowers. 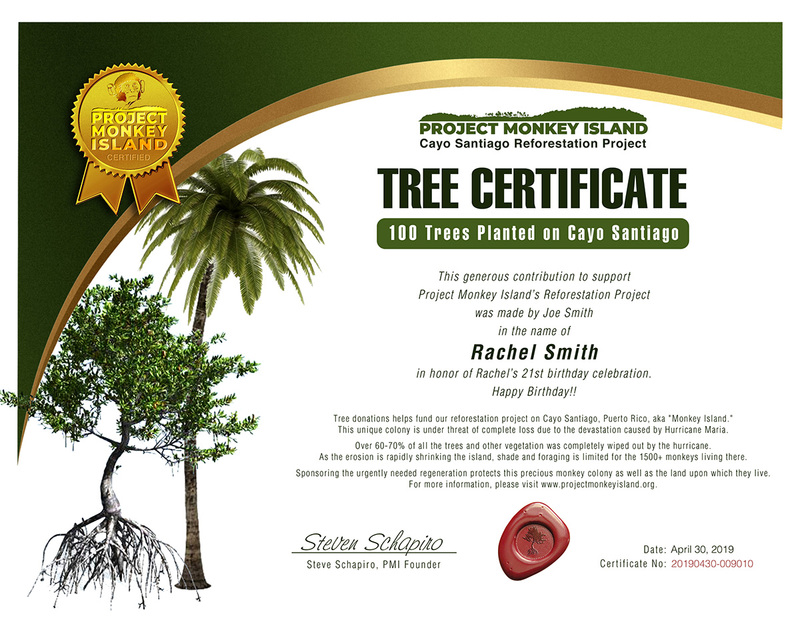 Select your number of trees to be planted, then start personalizing your certificate.Note: You will receive your custom e-certificate via email within 1 business day of placing your order. E-certificates are sent in a PDF file format (Get Adobe Reader to view your certificate). Your e-certificate will be sent to the email address that is provided.